You take your car everywhere, for your work or for a short family vacation. 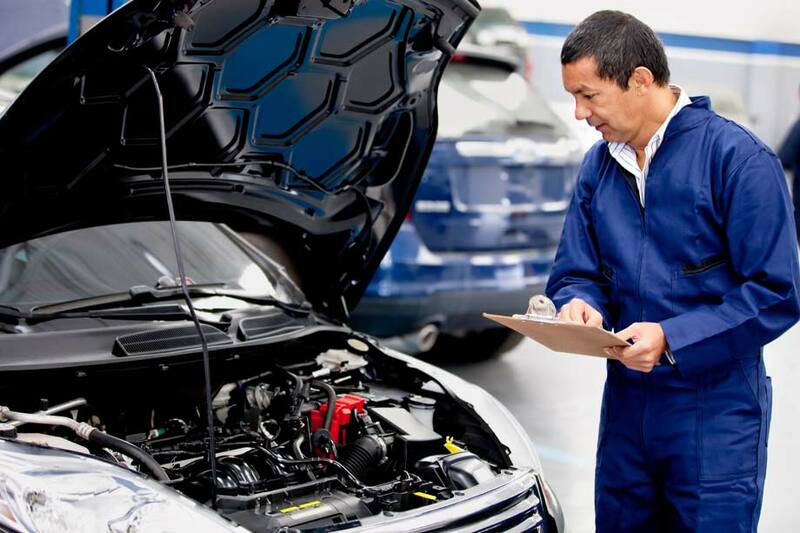 Taking care of your car is important if you don’t want to wind up in an inspection station. It is essential to keep your machine in a decent shape to avoid accidents. • Light: To avoid any kind of accidents, being visible is important. Check whether your headlights, tail lights, directional signals, and hazard flashers are working. • Steering: The belt that runs the power steering pump should be in good condition. The power steering system must be checked for leaks. If you hear a “clunk” when you turn the steering, it should be replaced immediately. • Brakes: Check if the brake line is left on the pads of all the four wheels. The brake pedal when depressed should feel firm but not hard. Check the master cylinder for leaks, if there are any leaks the hydraulic pressure will fail to function. Also, test whether the brakes can hold your vehicle’s weight on an inclination. • Fuel System: Check all the fuel line if you smell gasoline. Check to see if there’s a crack in the rubber hoses or rust in the steel lines. It is important to get the fuel system checked to avoid any accidents. • Tires and Wheels: Tire treads improve contact with the road and don’t let your car skid during rain or snow. Check if the treads are deep enough and make sure you don’t see any steel belting. The tires shouldn’t have any dry rotting or cracks. Replace wheels if you see any corrosion. • Windows and Windshield: The windows should work with an ease and without any jerks. The windshield should be free cracks or it can impair the visibility of the driver. Also, carry a small hammer or seatbelt cutter to escape if the vehicle’s electrical system fails. • Exhaust System: A leak in the exhaust system can cause poisonous carbon monoxide to leak. This poisonous gas can cause suffocation if ingested. Check for holes in the system. • Seat, Seatbelts and Airbags: The seats should not feel rickety. The seatbelts shouldn’t be frayed and the airbag system lights should not stay on after startup. • Engine compartment: There shouldn’t be any oil leaks from the engine or transmission. If not checked, this leak can cause a fire. If you find this checklist time consuming, don’t worry. Visit Harrad Auto Services for your car inspection in Brampton.